Kasey Bell’s book Shake Up Learning will be released on Wednesday, April 4, 2018, but I was granted early access to the book and wanted to share some key quotes that resonated with me using #Booksnaps. Shake Up Learning (the book, not to be confused with Kasey’s popular blog), is a three-part book that helps educators understand the why, what, and how behind shaking up education. Each chapter in #ShakeUpLearning starts with a quote and ends with discussion questions, actions, and space for reflection. Kasey helps educators understand how to shift classrooms from static to dynamic using the Dynamic Learning Framework which focuses on dynamic learning experiences. I’d recommend this book to any educator looking to transform teaching and learning. Chapter 18 What Does Dynamic Learning Look Like? Chapter 20 Go for It! 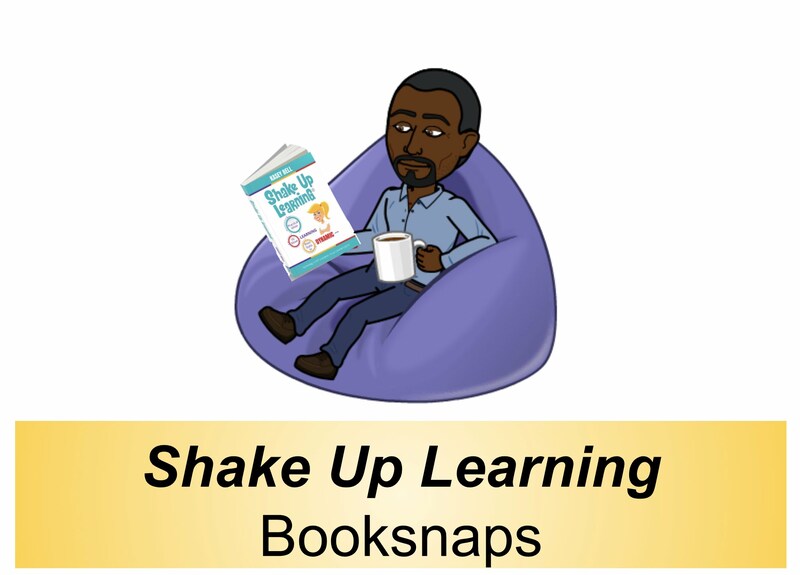 Looking to learn more about the Shake Up Learning book, be sure to visit www.shakeuplearningbook.com. And if you want to learn more about booksnaps, be sure to visit Tara Martin's website at www.tarammartin.com/resources/booksnaps-how-to-videos for how-to videos and more examples.